In the Pyrenees lurks a dreadful beast called the Canigou. When hikers go near its den, they end up murdered, despite Clothilde's warnings. Unhappy with Clothilde tendency to try saving lives, the creature antagonize Clothilde, hoping to end its rival. Will Clothilde survive her encounter with the monster ? 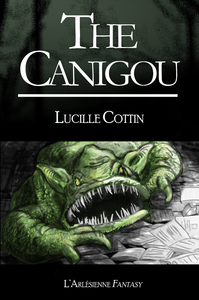 With "The Canigou", Lucille Cottin manage to create, within a few pages, a truly horrific atmosphere.